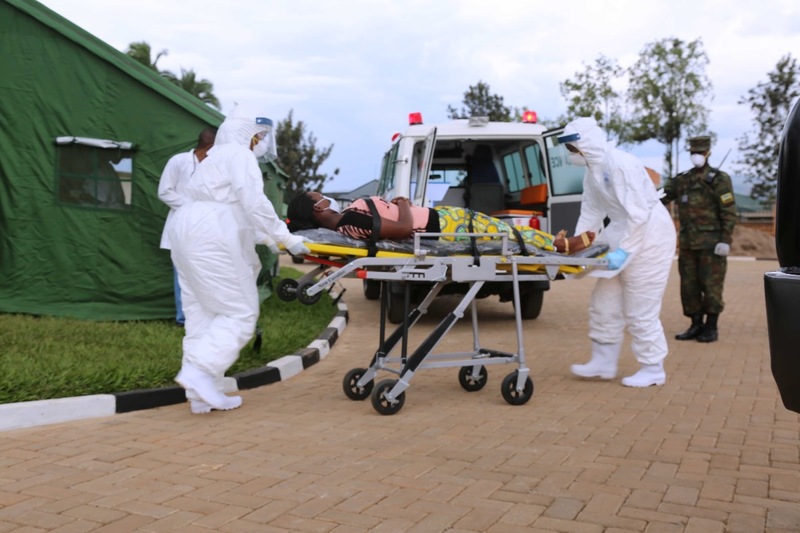 The Ministry of Health has told the public to be calm after rumours that World Health body warned Rwanda about a looming Ebola outbreak in the country. The local media on January 28 was awash with a rumoured statement attributed to the World Health Organization (WHO) according to which Ebola would reach Rwanda any time soon. In an announcement – Tuesday January 28, the Ministry of Health said that they received no communiqué from WHO that Ebola is close to Rwandan borders. “We therefore would like to tell the general public in Rwanda and visitors that there have not been any sign of Ebola and that Rwanda has taken serious precaution to contain Ebola outbreak,” the announcement reads in part. The Ministry of health indicated that WHO uses a different platform to disseminate information to countries and that platform is not the media. The communiqué gives details on Rwandan readiness whereby nurses from across the country were trained on conducting Ebola screening among other skills to contain Ebola. Trained were also community health workers from across the contry, police officers, journalists and Red Cross volunteers. Sensitization of the citizen over Ebola prevention is also ongoing in schools, during community works – umuganda and in the media. Ebola is still costing lives in Democratic Republic of Congo (DRC). So, Rwanda is particularly cautious when it comes to its borders with the country. Last year, a health facility in Rugerero – Rubavu District was equipped to be permanent Ebola treatment center. Several simulation exercises were also conducted in Rubavu, Kigali and Rusizi district. Minister Diane Gashumba reminded that all it takes to prevent against Ebola is to be cautious about hygiene including washing hands properly, visiting nearest health centre in case you are suspecting Ebola signs, cancelling trips in any country where Ebola outbreak is reported.